Ranch Style home located on a GR, General Residential zoned 1.2± acre lot close to Squam Lake & White Oak Pond * 1-story home built in 1940 offers 945± SF GLA, 5 rooms, 2 BR, 1 BA & partial basement * Detached 1-car garage, storage shed & FHW/oil heat * Serviced by private well & septic system. Tax Map 245, Lot 61. Assessed value: $155,400. 2018 taxes: $2,000. Mortgage Ref: Grafton County Registry of Deeds Book 2434, Page 691 & Book 4209, Page 441. Sale per order of Mortgagee by its Attys: Minkow and Mahoney Mullen, P.A., Laconia, NH; Peter J. Minkow, Esq. Terms: $5,000 deposit by cash, certified check, bank check, or other form of payment acceptable to Mortgagee at time of sale, balance due within 45 days. Other terms may be announced at time of sale. All information herein is believed but not warranted to be correct. The Mortgagee does not warrant the condition or existence of any feature described above. 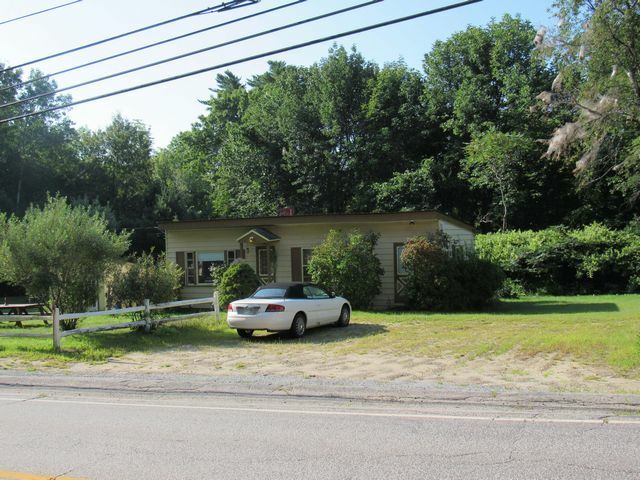 Full Description: Ranch Style home located on a GR, General Residential zoned 1.2± acre lot close to Squam Lake & White Oak Pond * 1-story home built in 1940 offers 945± SF GLA, 5 rooms, 2 BR, 1 BA & partial basement * Detached 1-car garage, storage shed & FHW/oil heat * Serviced by private well & septic system. Tax Map 245, Lot 61. Assessed value: $155,400. 2018 taxes: $2,000. Mortgage Ref: Grafton County Registry of Deeds Book 2434, Page 691 & Book 4209, Page 441. Sale per order of Mortgagee by its Attys: Minkow and Mahoney Mullen, P.A., Laconia, NH; Peter J. Minkow, Esq. Terms: $5,000 deposit by cash, certified check, bank check, or other form of payment acceptable to Mortgagee at time of sale, balance due within 45 days. Other terms may be announced at time of sale. All information herein is believed but not warranted to be correct. The Mortgagee does not warrant the condition or existence of any feature described above.